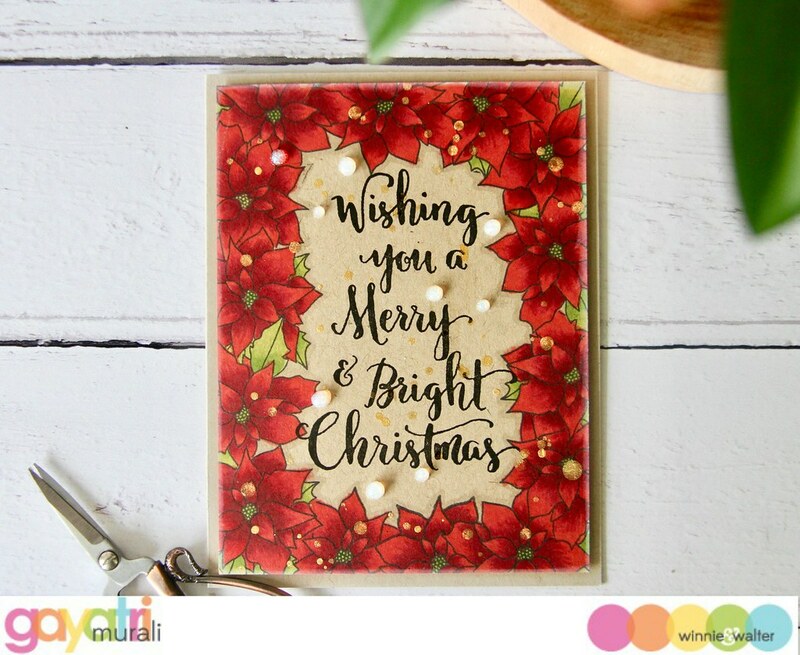 I have my very first Christmas card for 2018 to share on Winnie & Walter Blog and here today. I know it is very early. Last year I put off making Christmas Cards until last minute and it did not go well. I did not make any other than DT assignments. No Christmas cards were sent out last year. So I decided to start nice and early to make a good collection of cards ready to post when time is ready. I adhered this panel to a Kraft card base. I also sponged the card front with white pigment ink on the edges. 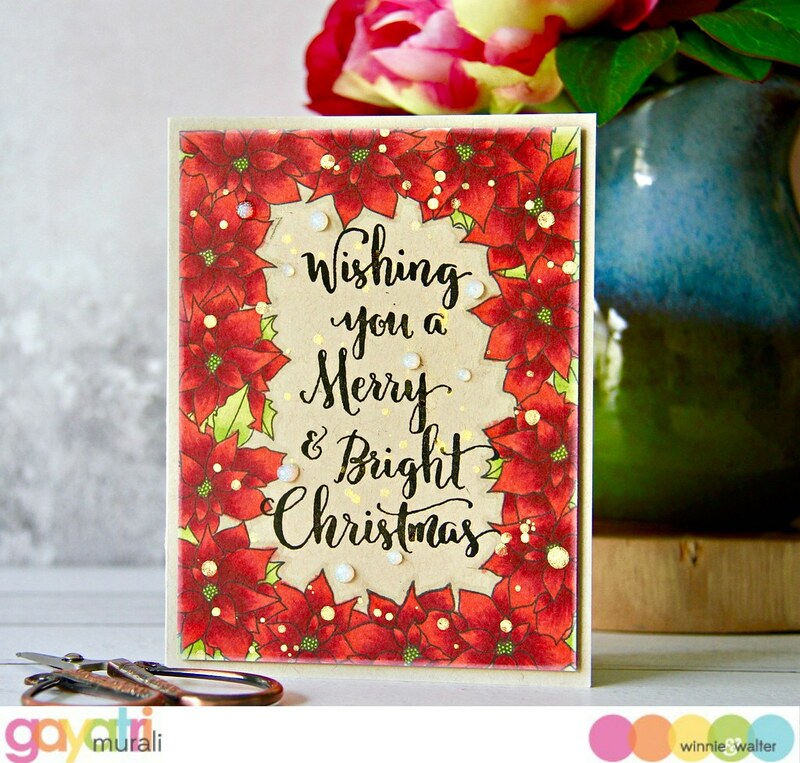 This card is simple, rich of colours and easy to make. You can stamp a number of panels one day, another day colour them, then stamp… Have a assembly line to make a set of 10 such cards. 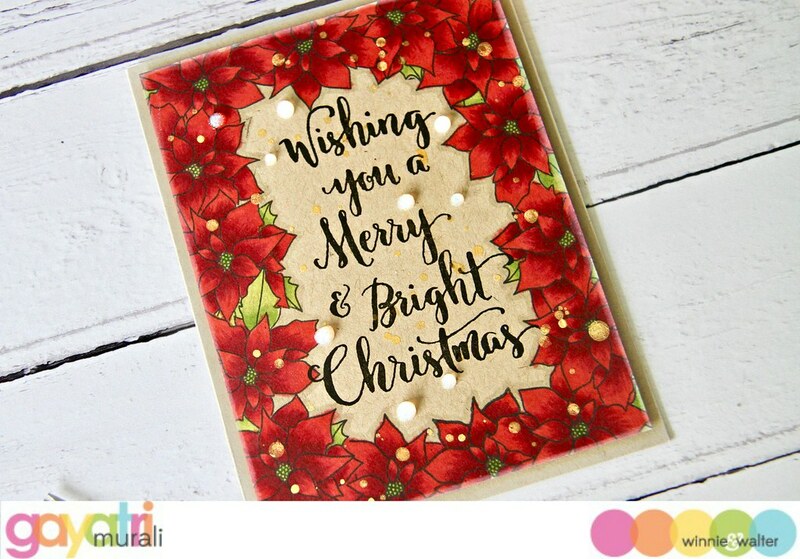 If you find colouring the poinsettia tedious, then use larger image so you have less images to colour. 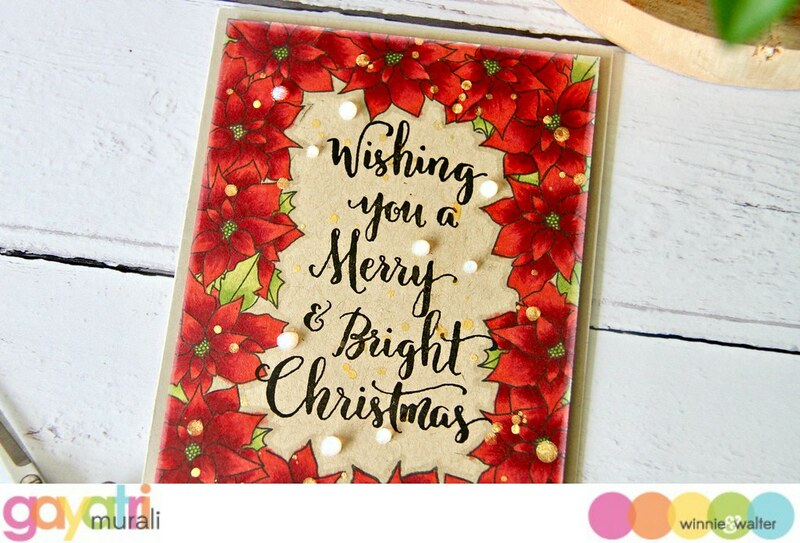 Hope I have kick started your Christmas card making or at least got you thinking about it 🙂 The supplies I used are listed below. I know a lot of people get weird about doing or saying anything that has to do with Christmas or winter in the summer months! I’m one of those! However, it’s kinda fun! Changes things up a bit. Your card is really lovely. Now you have one less card to worry about!